The East Passage is the gateway to Newport from the Atlantic Ocean. 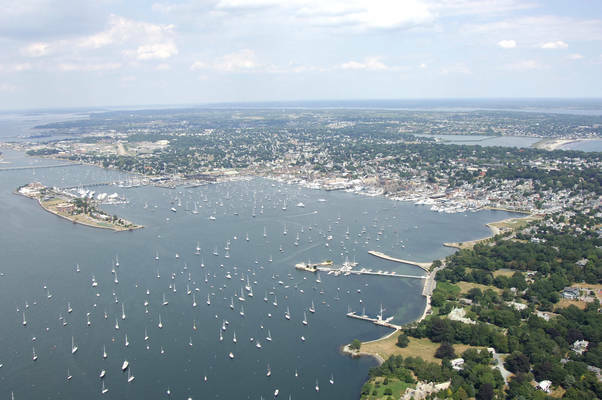 The East Passage winds its way between Newport and Beaver necks, past Fort Adams, Bull Point, and then into Newport Harbor. Newport is 60 miles south of Boston (as the bird flies) and 45 miles west of Marthas Vineyard. 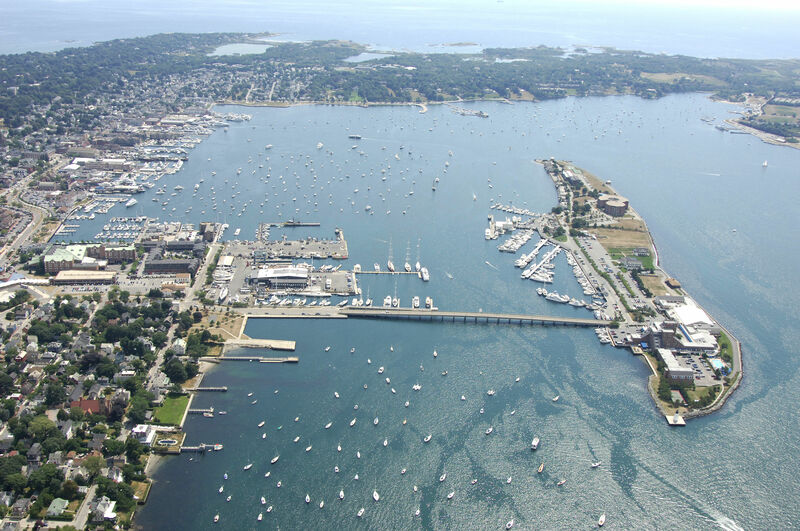 In 1524, the Italian navigator Giovani Verrazzano and his crew became the first Europeans conclusively known to visit Narragansett Bay. He did not stay in the area for long, as he was on a journey of exploration, not settlement. 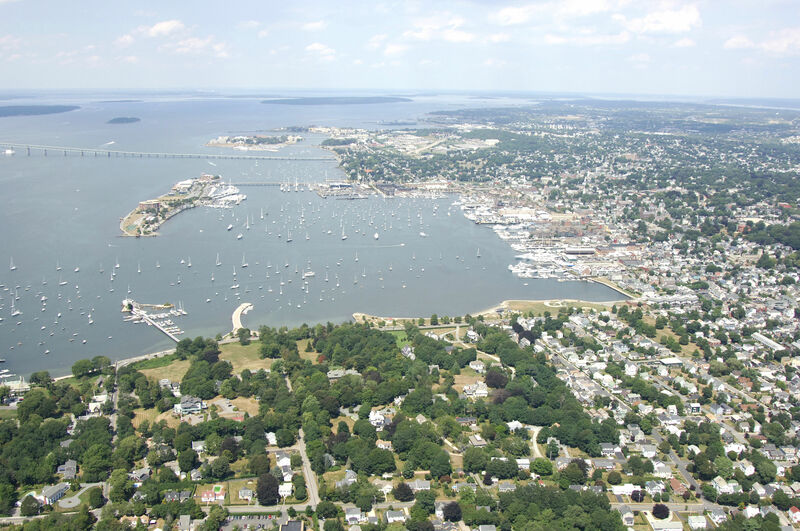 Early European explorers and settlers reported several thousand Wampanoag and Narragansett Indians living in the Narragansett Bay area. 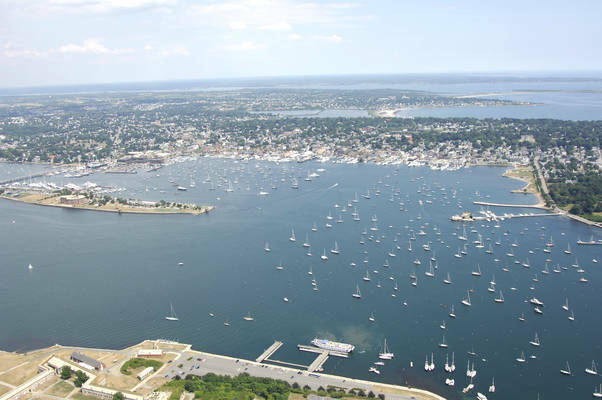 The extended occupation of Newport during the Revolutionary War brought hardships including disruption of shipping and commercial activities; and these took a toll on the city's infrastructure and economy. By 1784, Beavertail Light was back in operation (and remained in use until the present lighthouse was built in 1856). 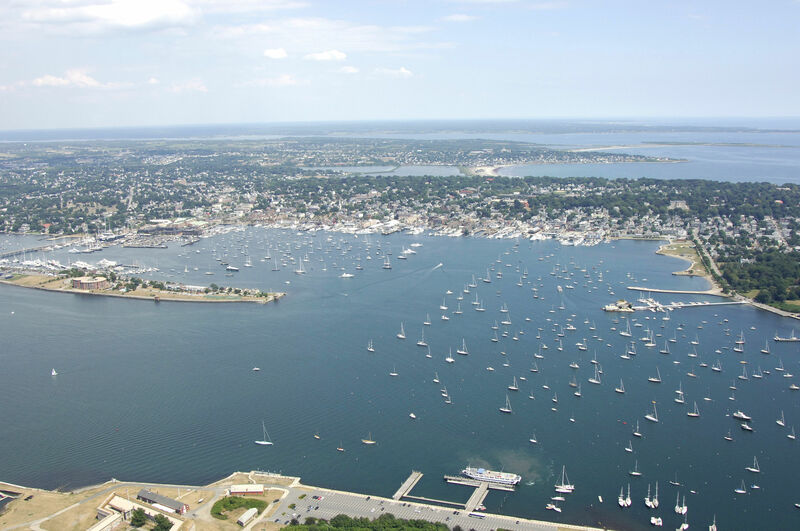 Following adoption of the United States Constitution, Rhode Island was admitted to the Union on May 29, 1790, as the 13th state. From the Atlantic Ocean, pick up red and white buoy NB (flashing red), and then set a course for quick flashing red buoy 2, which marks Brenton Reef just south of Brenton Point on the Newport Neck. As you work your way in toward the East Passage and Newport, keep red gong buoy 4 and red bell buoy 6 far to port, as they mark several more rock ledges working out from Newport Neck. Further guidance is provided by Castle Rock Light on the extreme west end of Newport Neck. T.F. Green International Airport is located in Providence, and is about a 30-mile drive (if you have a car) or a longer ride on one of the RIPTA busses. Major airlines like Southwest, United and U.S. Airways run several flights in and out of the area each day. See the Helpful Links section below for detailed transportation schedules. 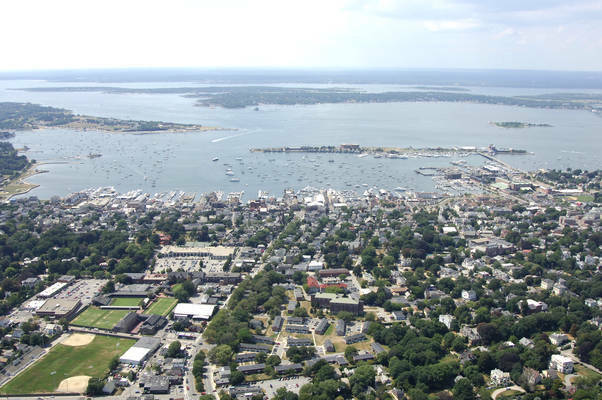 Located just off the harbor in downtown Newport you can find great fine dining, cafes, and shopping. 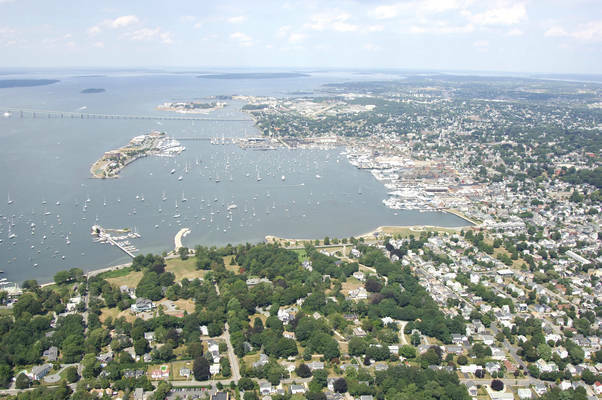 Perhaps the most attractive characteristic of Newport is the ability that the destination has to appeal to a variety of tastes. 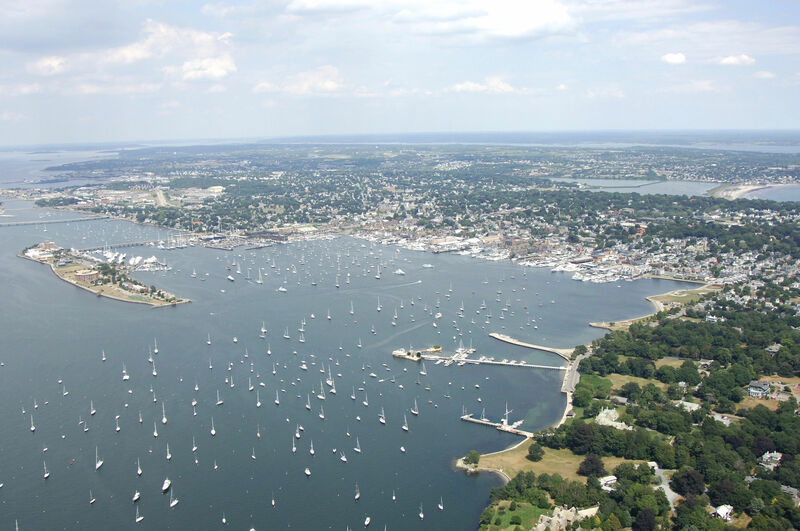 Newport is home to miles of scenic coastline ideal for exhilarating sailing excursions, relaxing beach time, and rejuvenating walks. For those with a penchant for the historic, Newport offers tours of opulent mansions, interesting museums, and a number of walking tours that reveal the history and charm of the city. For a mouth-watering getaway, visitors can enjoy a tour and tasting at the three local vineyards followed by a memorable dining experience at one of the waterfronts many dining establishments. No reviews yet! Be the first to write a review of Newport Harbor.